Whether a musician who wants to understand the engineering behind the music, a hobbyist who wants to start recording their songs, a music lover who wants to understand why certain records sound the way they do, an audio engineer who wants to make sure they can nail the basic technicalities of their craft, or simply someone eager to learn the basics of audio engineering, this book is for you. The book is organized in the most intuitive way possible: you will follow the sound from its creation to its rendering, from the vibrating string to the sound in their ears. Chapter 1 deals with physical sound and its description in terms of waves. Chapter 2 explains how the sound is transformed and transported by a series of devices (microphones, cables, amplifiers, etc.) from the analog physical domain to the digital virtual domain. Chapter 3 describes the basic transformative operations available in the digital domain. Chapter 4 explains how the sound is transformed back into the analog domain and how we detect it. 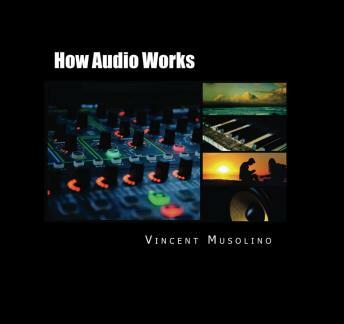 With 13 tables, 16 original figures, 13 equations, a 4 page glossary and a complete list of sources, "How Audio Works" gives you all the tools to understand the basics of audio engineering, and come out more informed and better prepared. How Audio Works, everything you need to know about audio basics.